Last year I hosted my family and a few friends at our home for Thanksgiving. It was a lot of fun to have my family come in to see our new home and to be here while after just purchasing our house and to host them. It was one of those real adult moments in life, you know what I mean? The hard part was the meal planning. I had willing hands, but no menu. 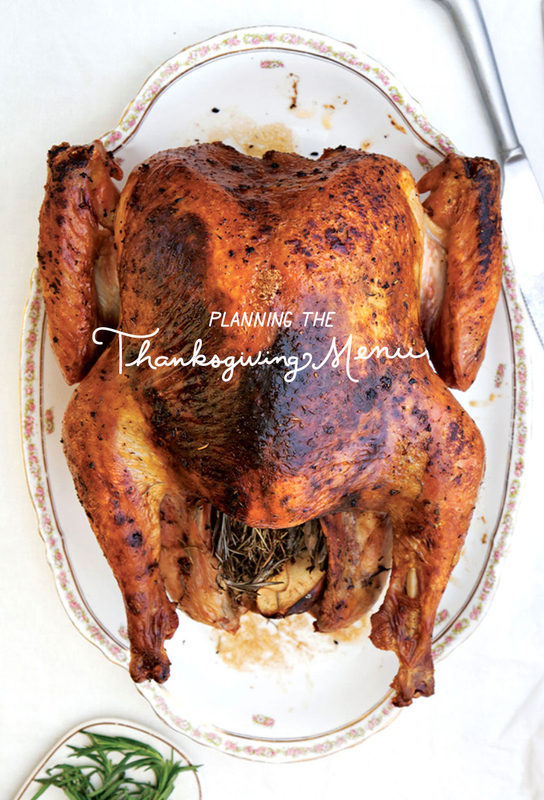 Though this year I won’t be the one picking the whole menu since we will be with both of our families in Texas, I thought back to this moment and thought I would share a few top choices for creating a day-of menu for Thanksgiving for all of you just in case you either needed to bring something to share or are in charge of the whole menu. I pulled some amazing recipes from favorite blogs and sites all over the internet to get you inspired. I think you will each find either a new place to get recipes or the perfect dish for the holiday. Breakfast is important on Thanksgiving, but I think it is best to start with some healthy choices. The next day you can have leftover pie and whip cream for breakfast, but Thanksgiving morning starting with some protein and green is probably a good plan. 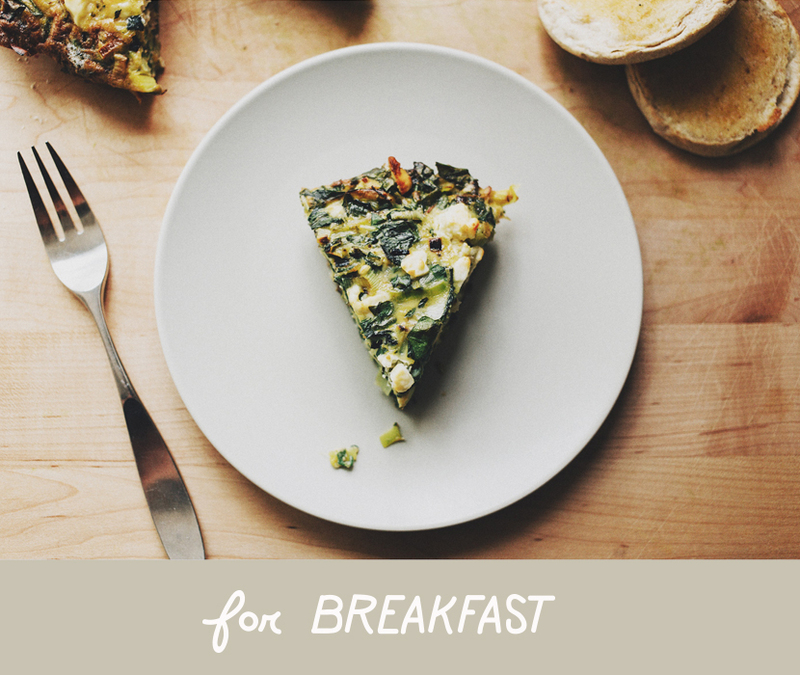 I love this frittata recipe from Sprouted Kitchen with Chard and Leeks. Serve some fresh fruit alongside and it will make for a good start to a long day of gluttony. For lunch, I like to stick to something healthy and light. Since you are in the final hours of preparing for dinner, I typically want something that people can all come in and grab some of if they are hungry to get them to dinner, but not fill them up. Serve with some simple apps of maybe olives and a cheese board and you should keep everyone very comfortable. 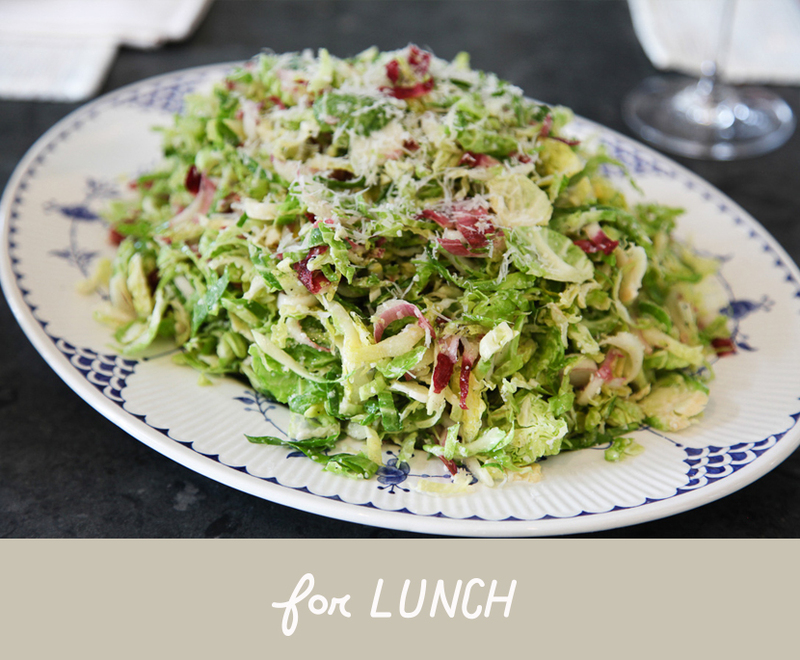 This Brussel Sprout and Endive Salad from The Yellow Table is a great choice. Just before dinner serving up a cocktail is always a fun way to prepare for dinner. 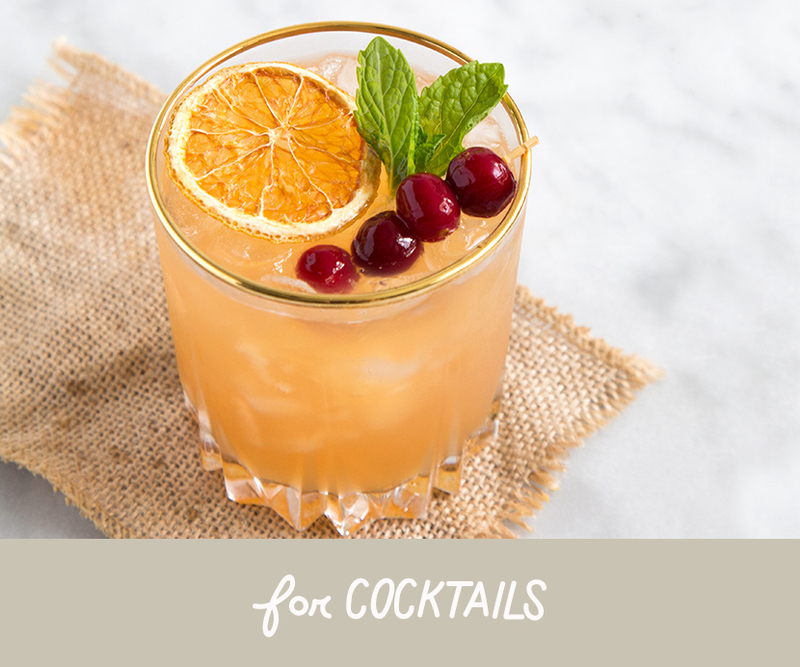 This Cranberry Orange Bourbon Cocktail from the Little Epicurean is a great little drink to get everyone in the holiday spirit. The all day bringing of a turkey is by no means an easy task, but I think when you know you can have one beautiful centerpiece of a main course at the end it makes the task a little easier. This recipe for a Brined and Roasted Turkey from Saveur Magazine is a great option to have a bird that will not only be perfectly beautiful but also taste just as good. The sides are always the fun part aren’t they? The exciting thing is a few of these can be made ahead such as this Mashed Potatoe Casserole from The Kitchn and the Cranberry and Ginger Relish from Martha Stewart. Every year I love to try a new version of stuffing because it is one of those dishes you don’t make often and it has so many possibilities. This recipe for Sourdough and Mushroom Stuffing from Country Living is on my list this year. You cannot forget to keep it a little healthy and these Rosemary Roasted Veggies from Love and Lemons should do the trick. I know everyone is all about the pumpkin pie. I get it. They are awesome, but I always like to make sure there is an alternate pie in the mix just in case there a few looking for a little variety even if they are eating a slice of both. 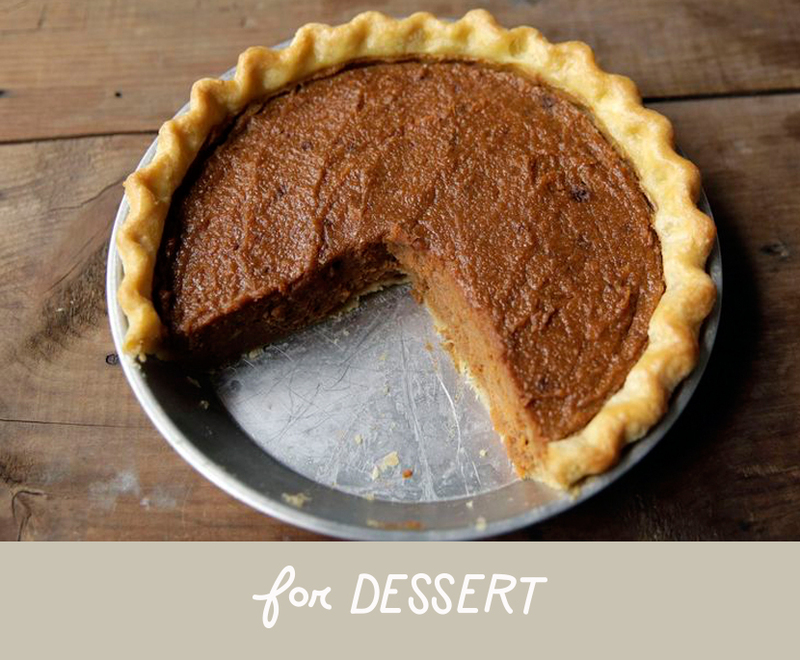 I think this Buttermilk Sweet Potatoe Pie from Food 52 is a perfect simple option. Also when has buttermilk pie every been a terrible idea? 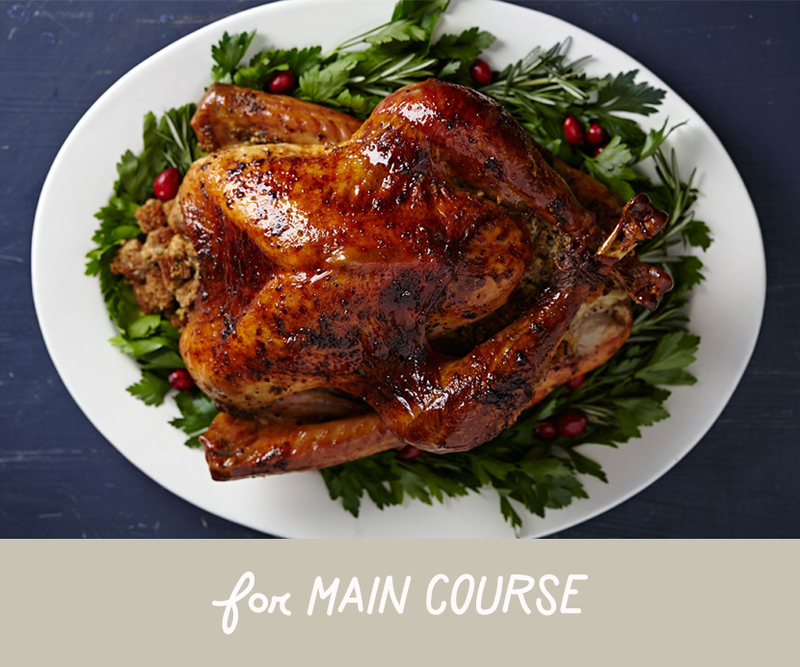 Do you have a favorite Thanksgiving recipe you use? What kind of cocktail are you making this year? Will you be celebrating with family or friends this year? Everything looks so good! My favorite part of Thanksgiving is my grandmother’s butternut squash soup. I think i may incorporate that sweet little cocktail on my T-day MENU THIS year! It’s going to be my first time celebrating Thanksgiving because I just moved here to the us in april. If I’m going to have all these on Thanksgiving Day, then I don’t mind packing all of the calories! It’s going to be awesome for a first time, too! I love your blog so much! You guys are definitely an inspiration! 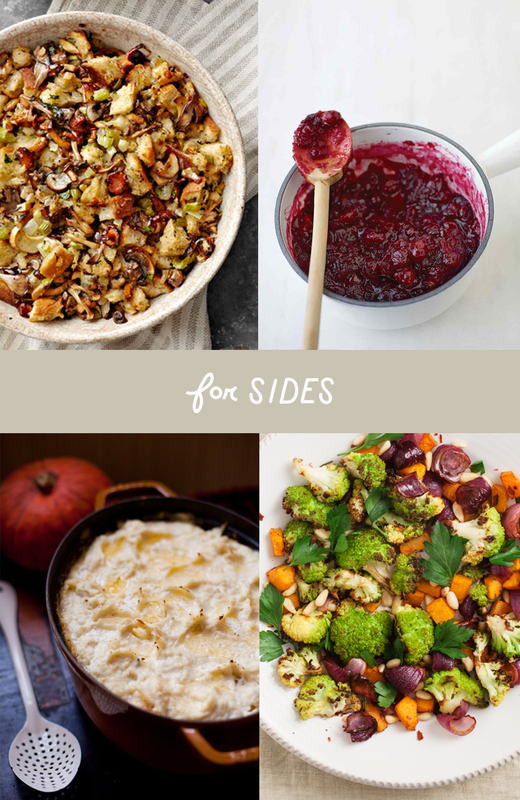 This Thanksgiving menu looks so ideal! I love all of these recipes and look forward to featuring some on our dinner table this year!